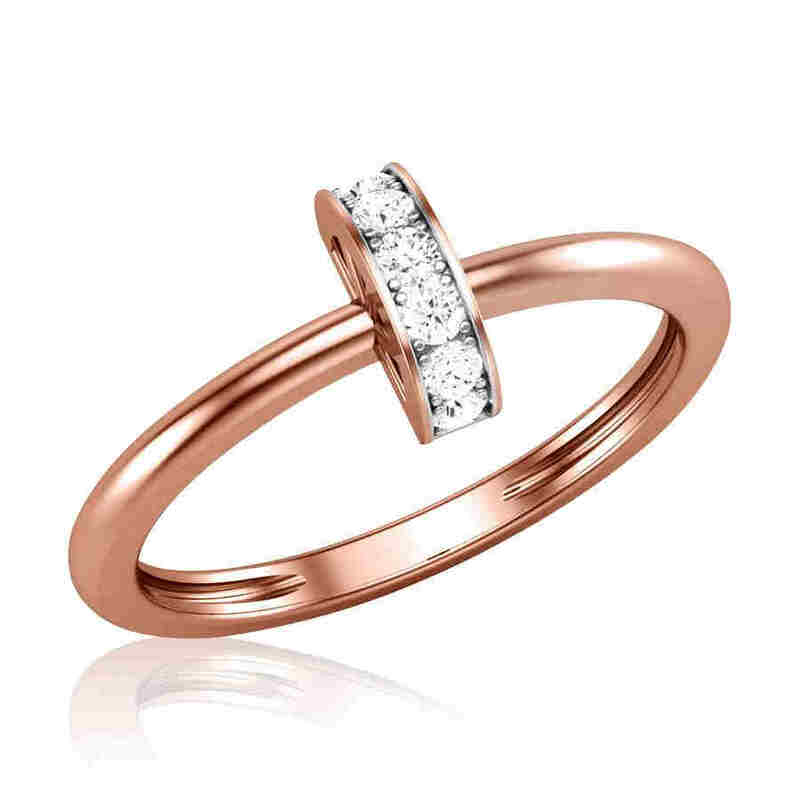 By what it looks like, the fixation with rose gold is not ebbing anytime soon and we aren’t complaining! 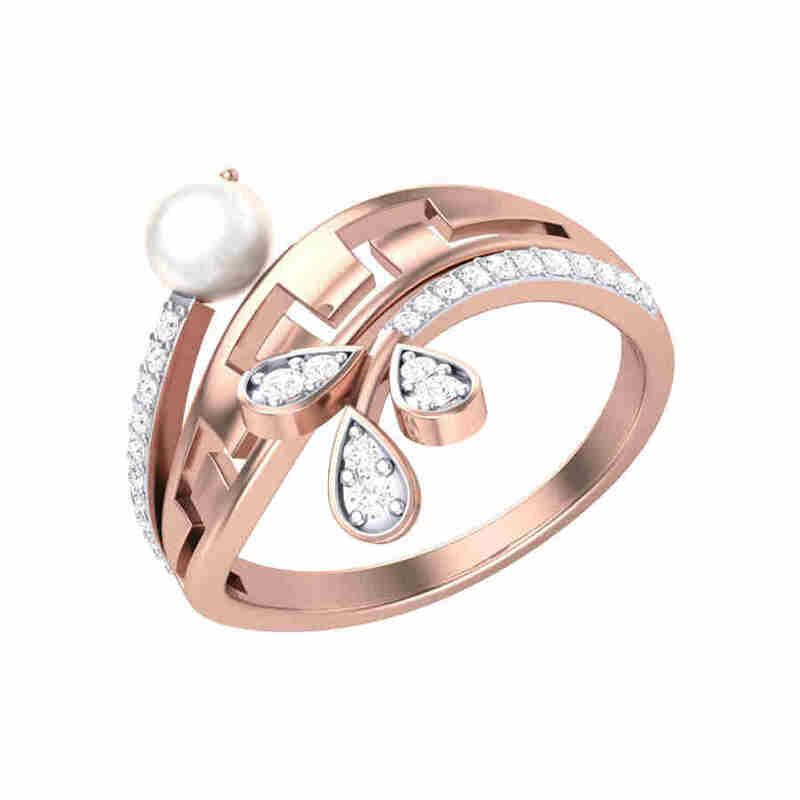 In fact, we personally have the softest of the soft spot for this pink-hued alloy as we think it looks just marvelous with any gemstone it is paired with and has the rare ability to conjure up an appeal that is equal parts old-world charm and contemporary chic. 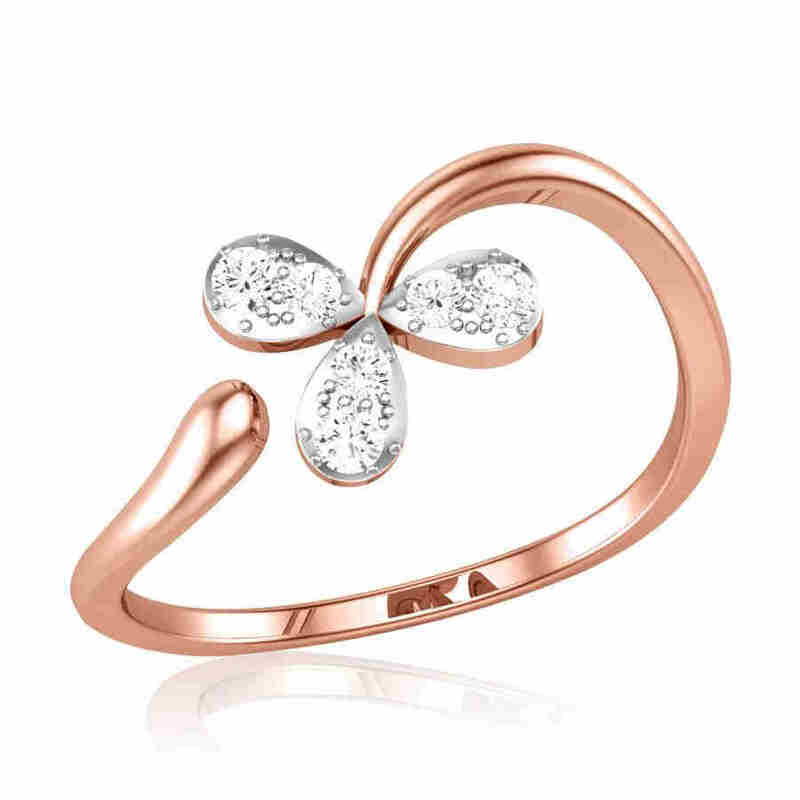 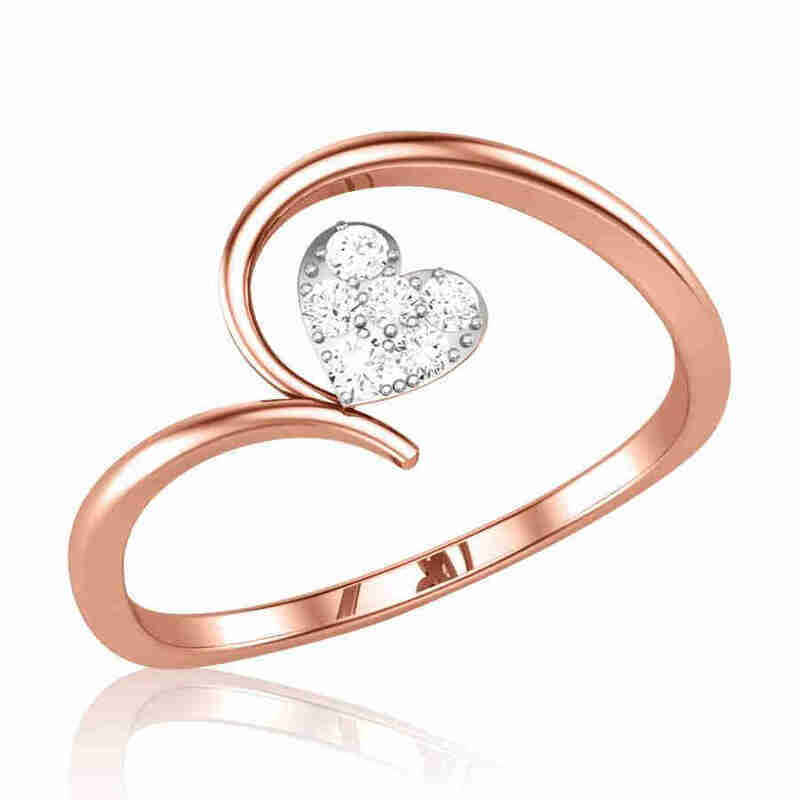 Rose gold jewellery is hands down, a popular choice for women. 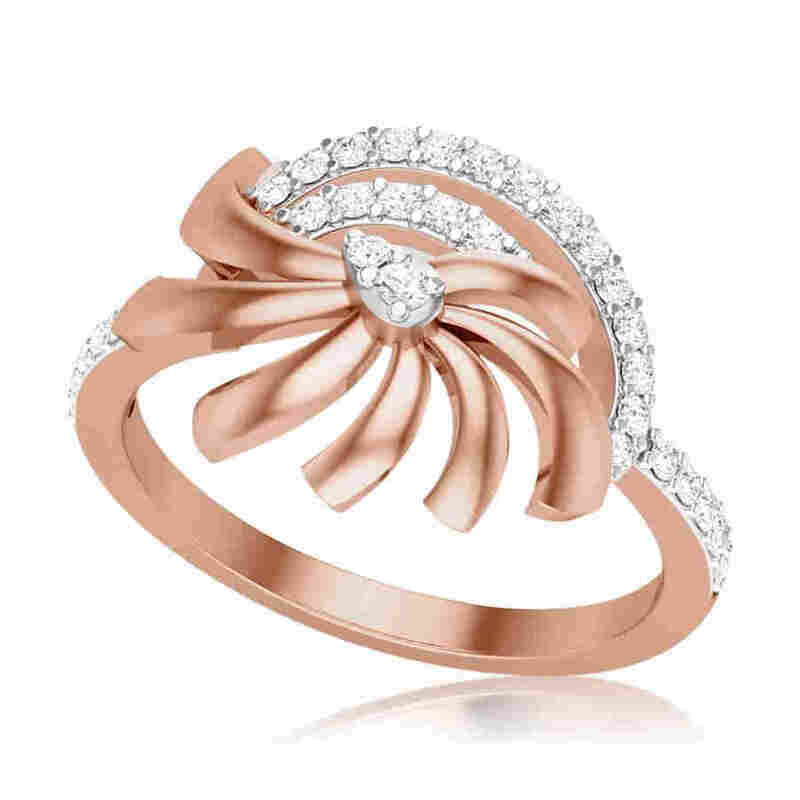 From bloggers to celebrities, everybody seems to be enamored of rose gold jewellery and flaunting them is seen as de rigueur. 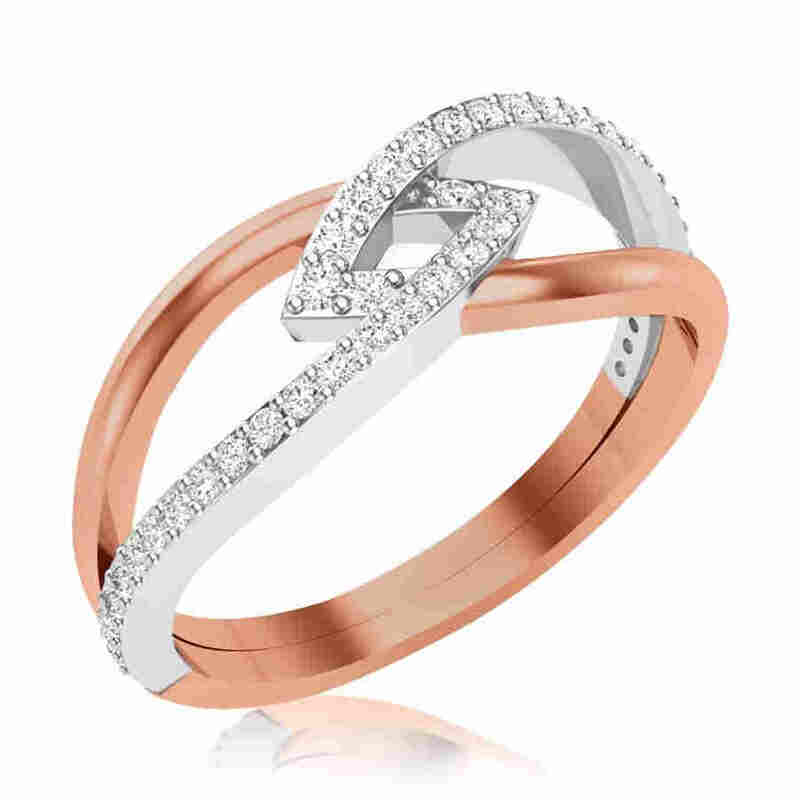 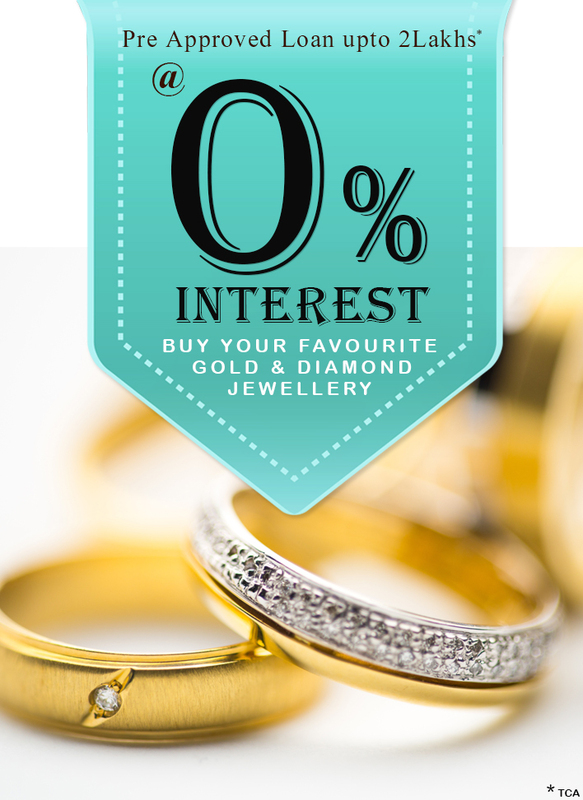 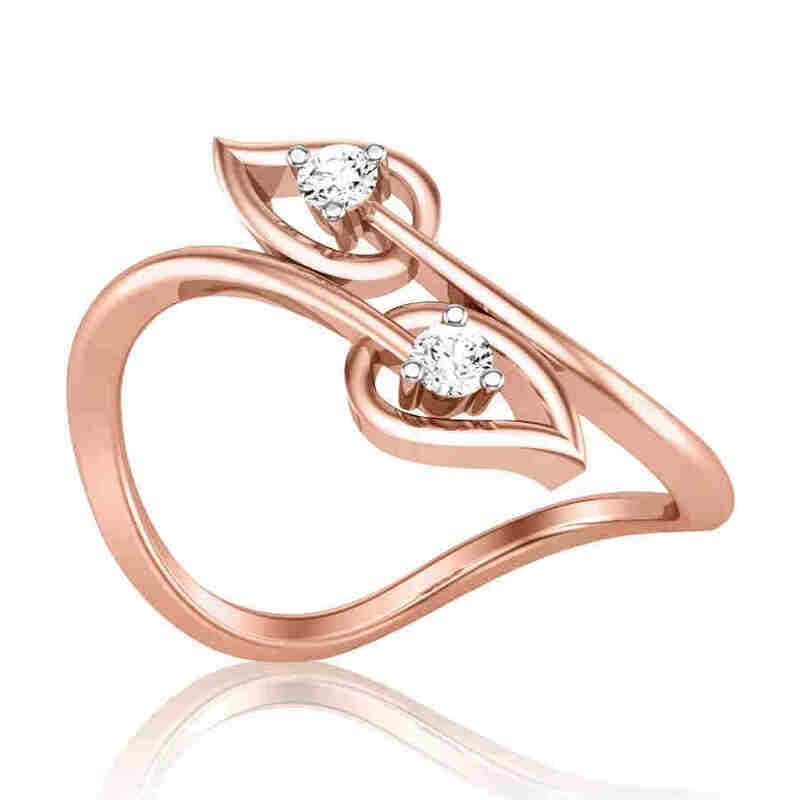 While rose gold jewellery, overall enjoys immense popularity, rose gold rings, are a particular favorite with stylish brides who want their engagement rings to have a modern styling along with perceptible hints of vintage glamour. 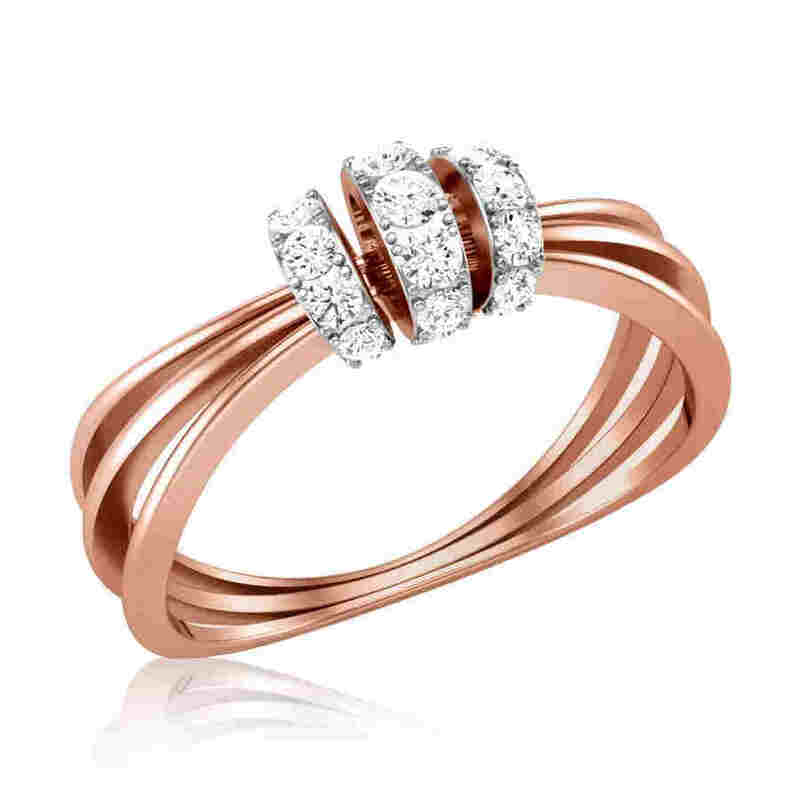 Rose gold rings are known for working up a demure and understated look, making them an apt choice for those seeking a beautiful but less ostentatious ring. 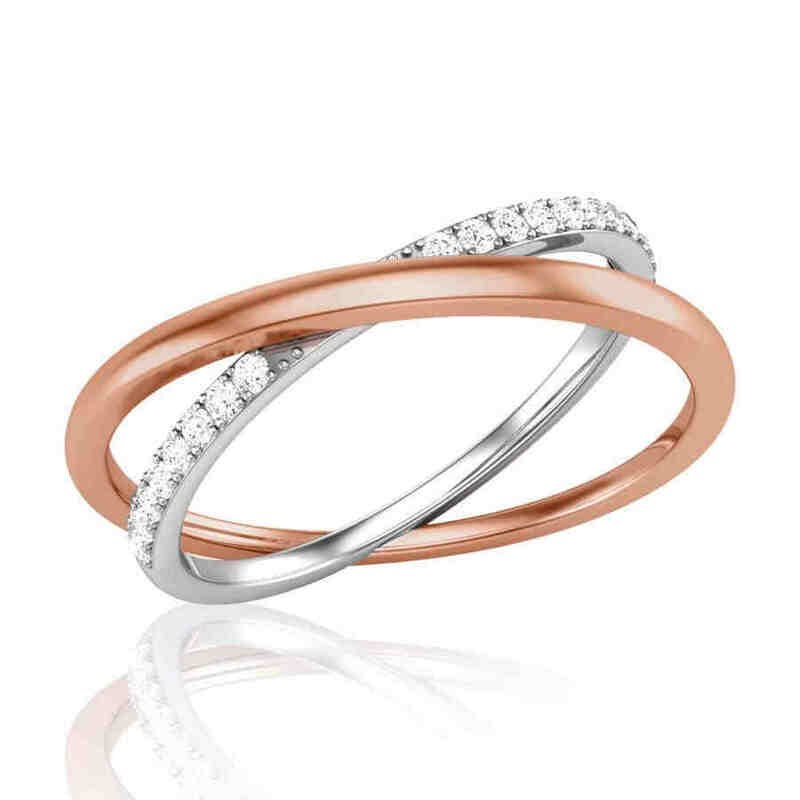 Not only does rose gold look sublime on its own but teams wonderfully well with both white and yellow gold in stack ring designs. 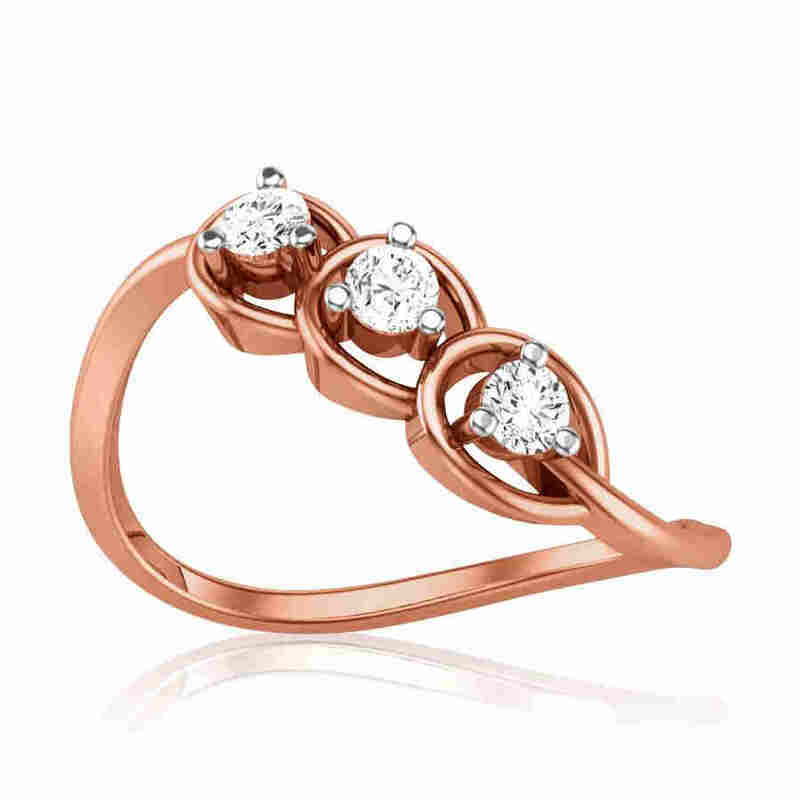 Rose gold rings tick all the right boxes, there’s one important criterion in which they fair remarkably and that is versatility. 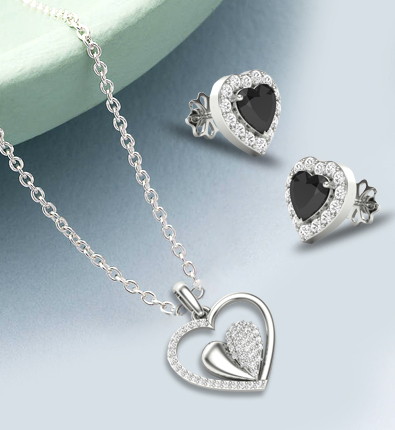 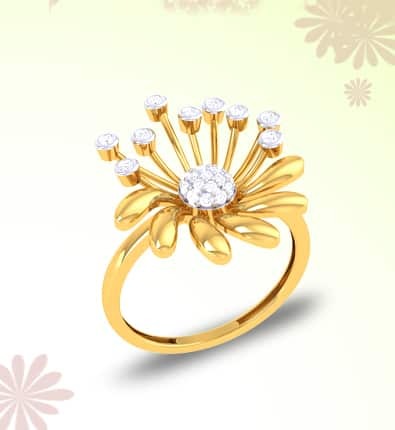 They mingle effortlessly with any skin tone and look gorgeous with colored gems like sapphires, emeralds, and rubies. 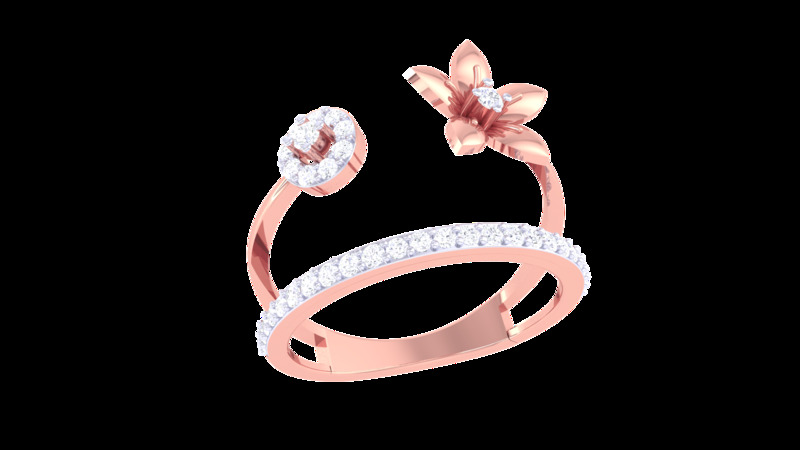 The tickle pink color of the metal epitomizes romance and love, therefore reinforcing its status as the new best friend of discerning brides-to-be and girls across the world. 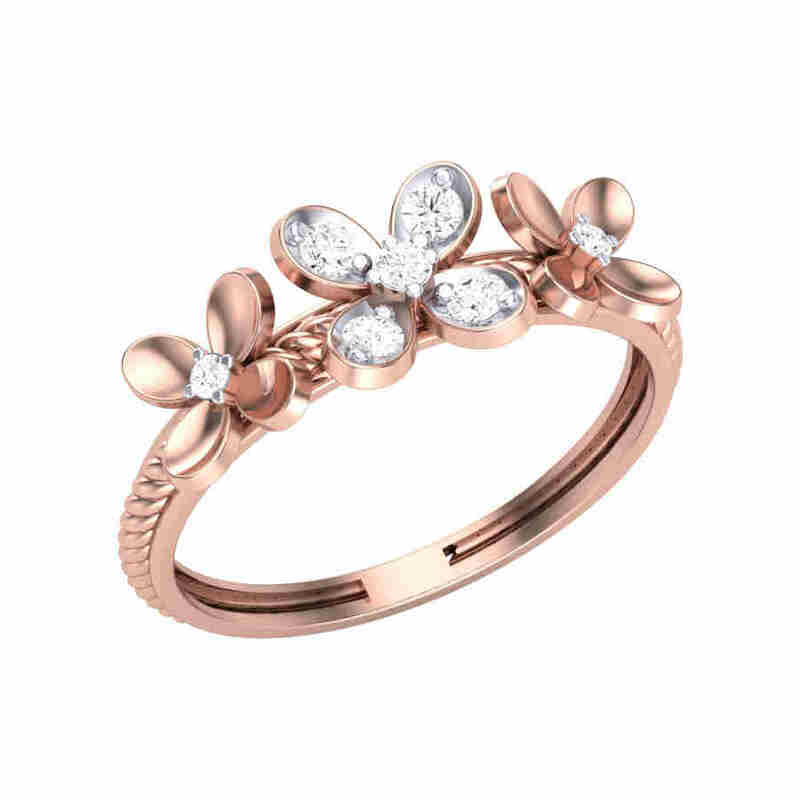 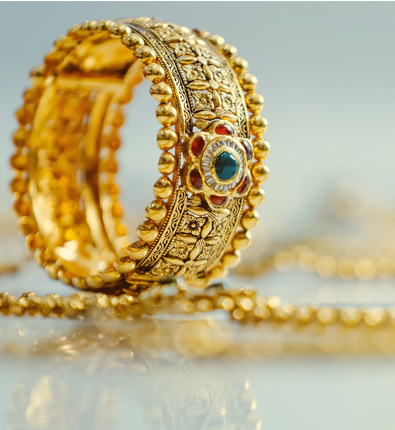 As opposed to yellow and white gold, rose gold rings are known to develop a patina, a beautiful greenish blue layer that looks aesthetically appealing, owing to its copper content. 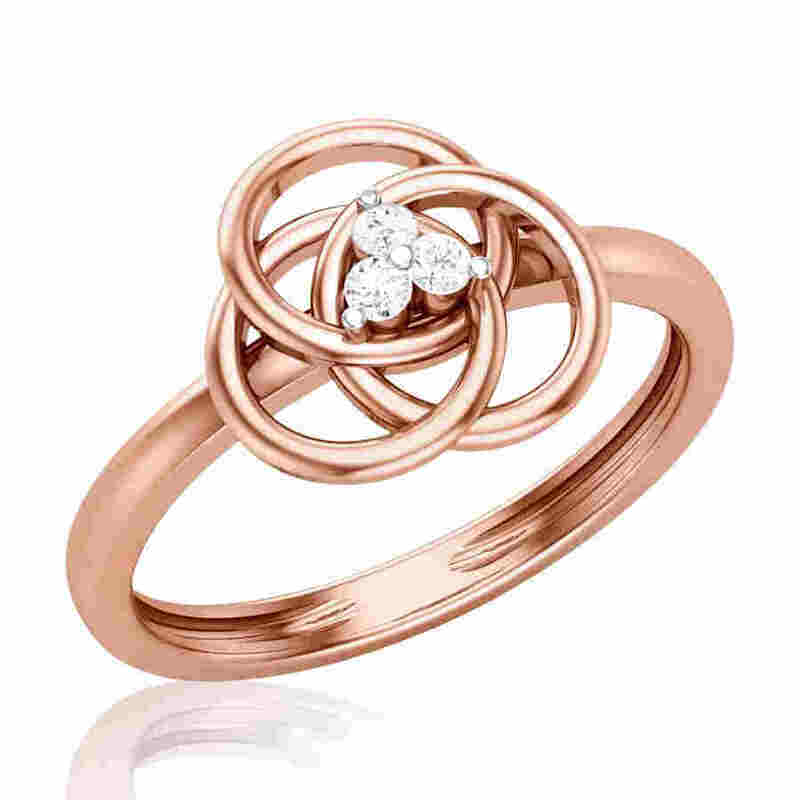 Rose gold rings especially work like magic in vintage detailing and are preferred by those who want an antique-inspired dash to their wedding ensemble. 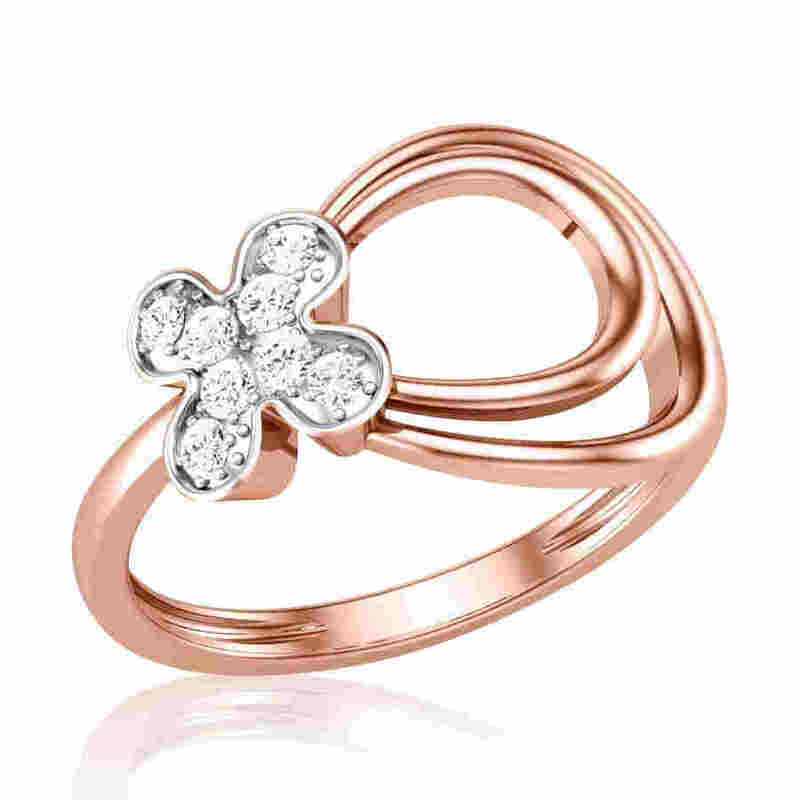 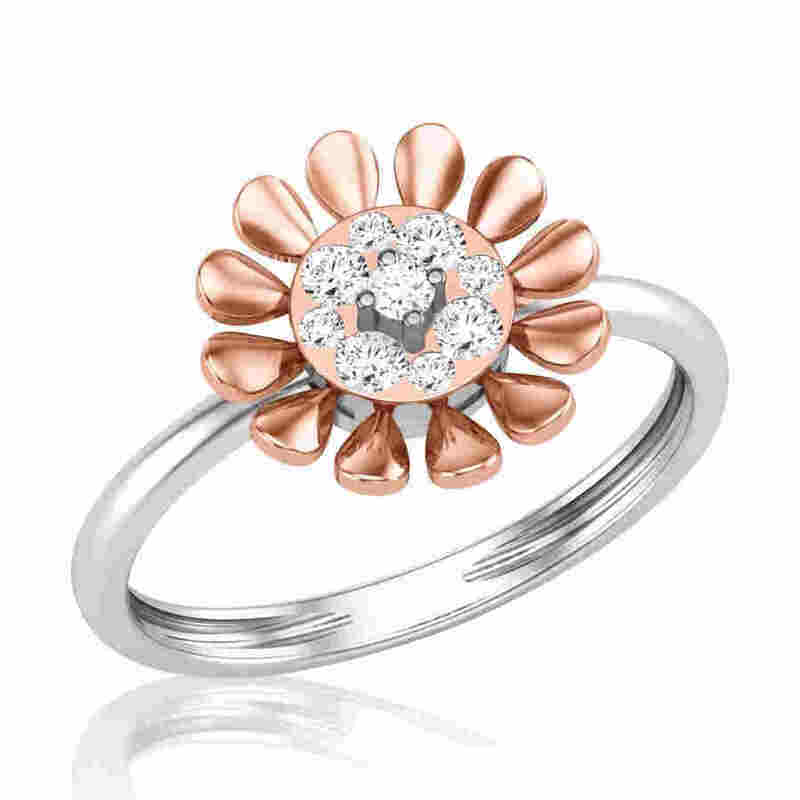 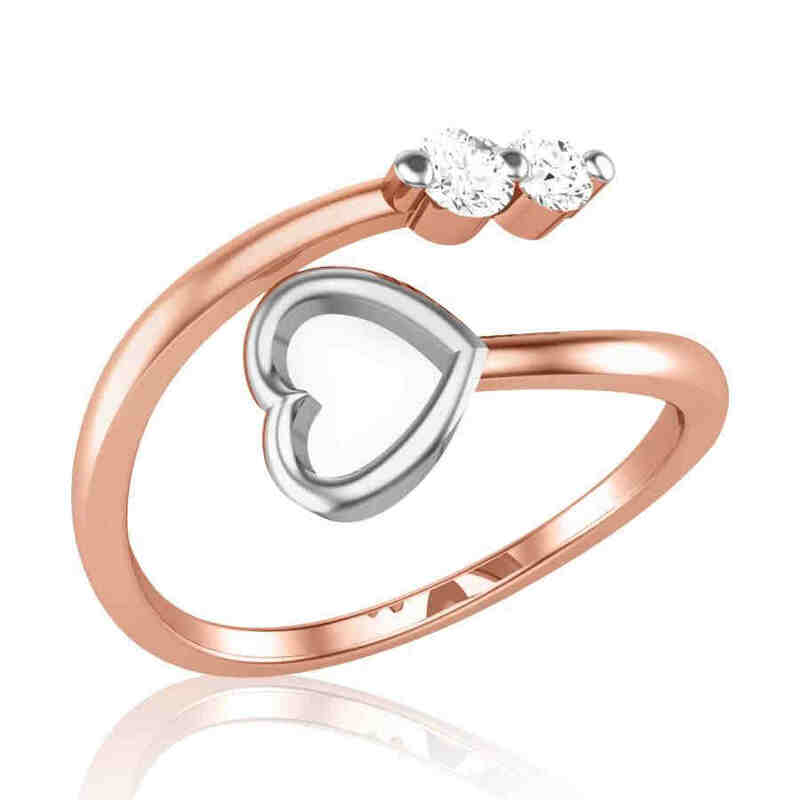 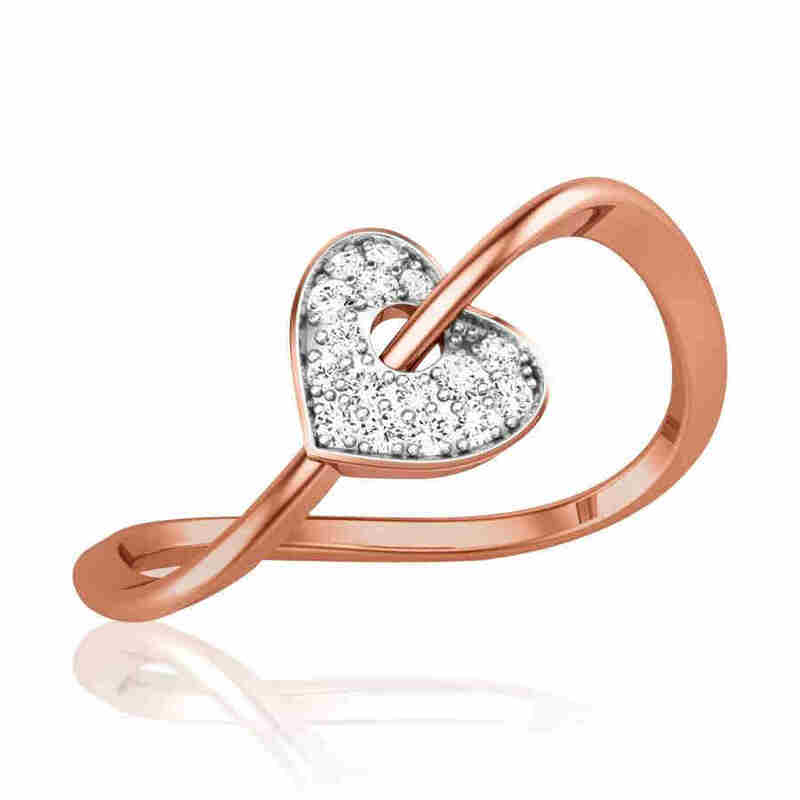 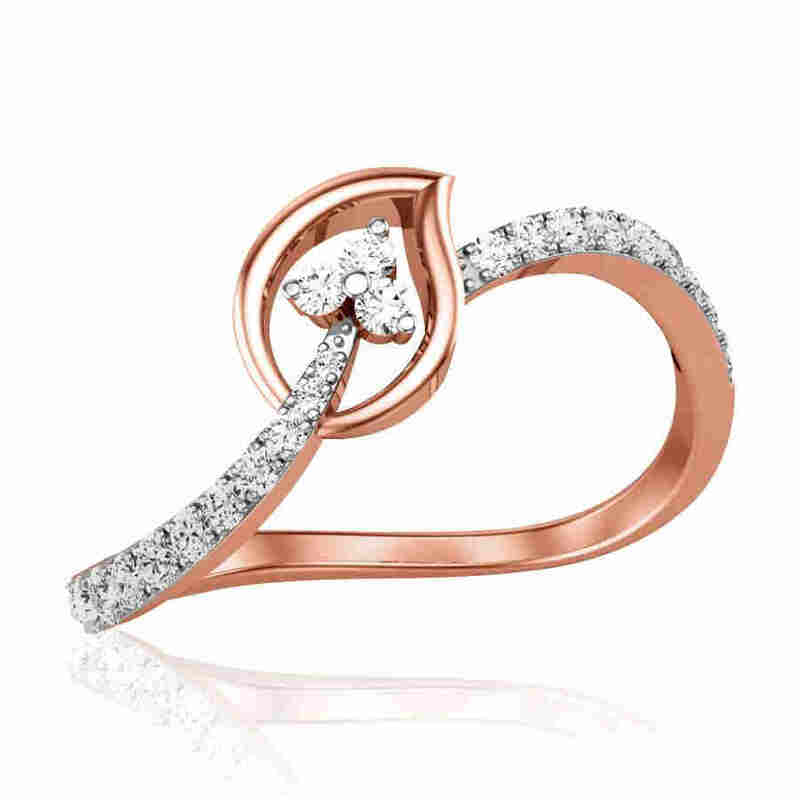 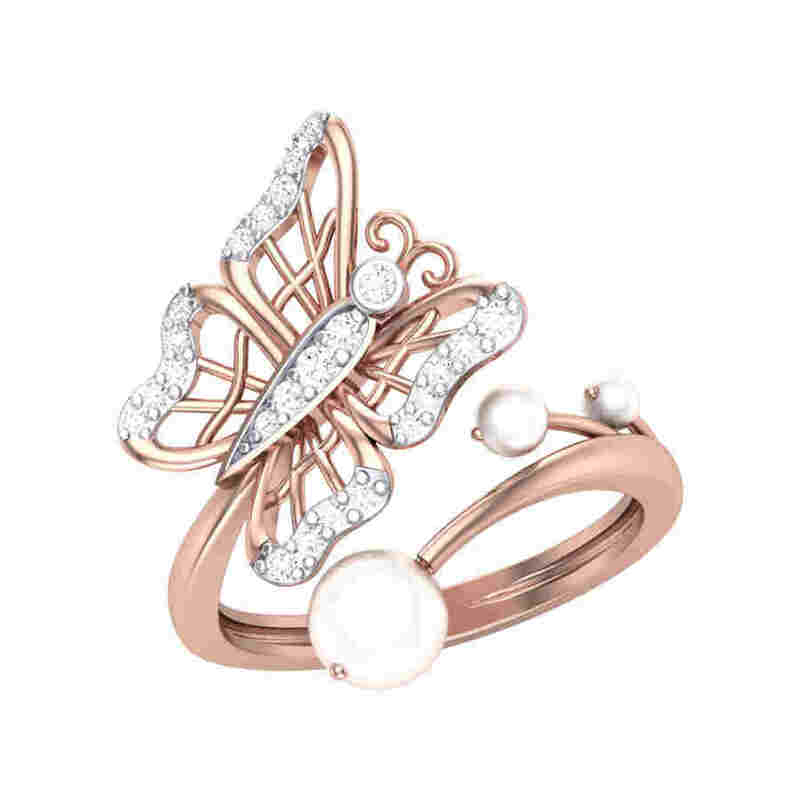 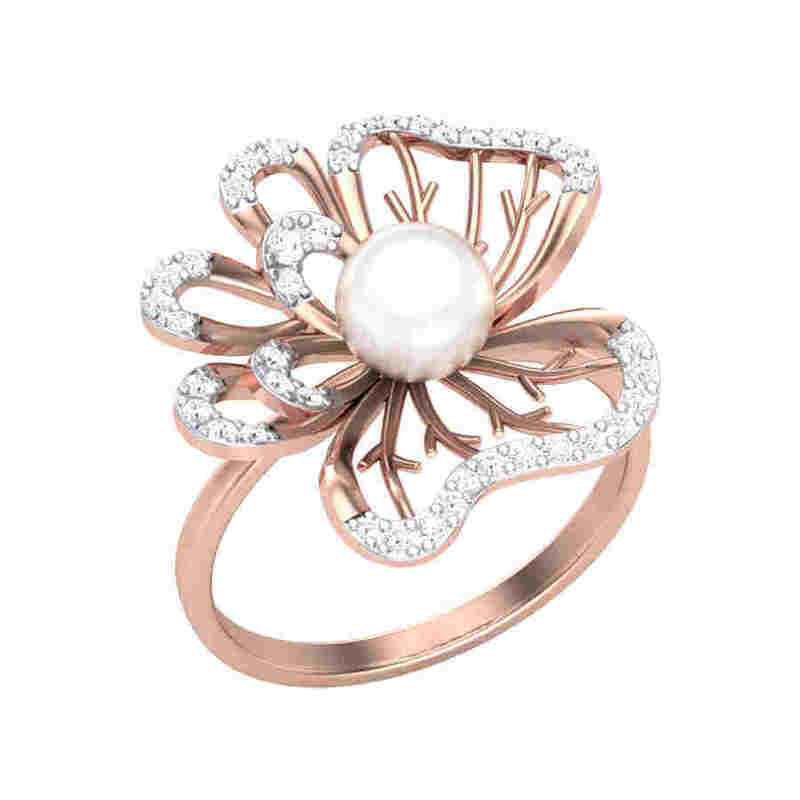 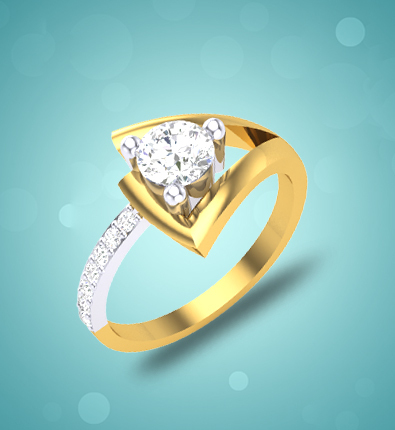 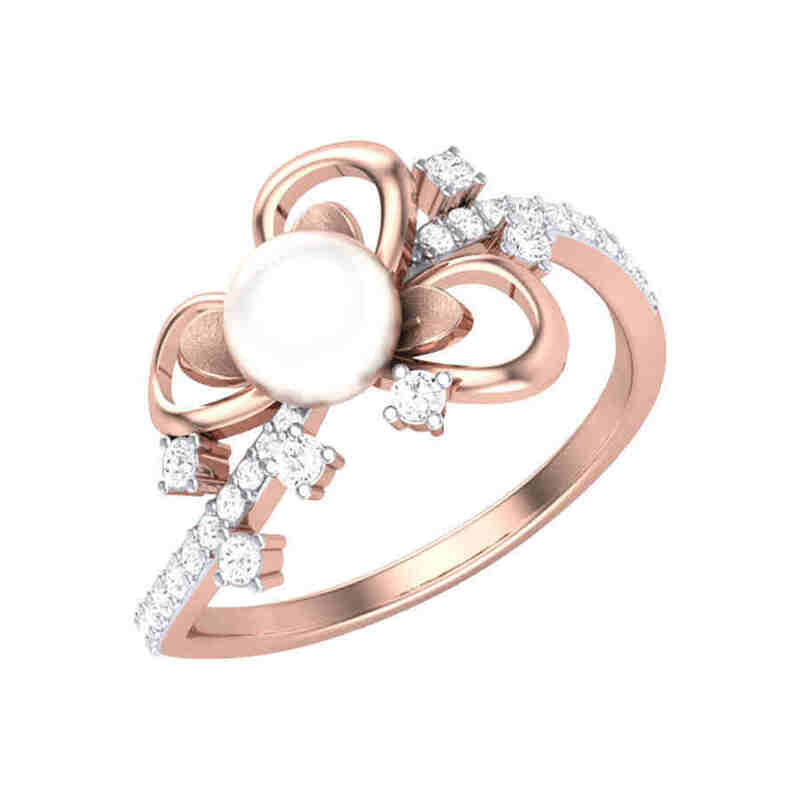 Our rose gold ring designs are versatile and varied to ensure that our customers find what they are searching for in terms of style, price, and statement. 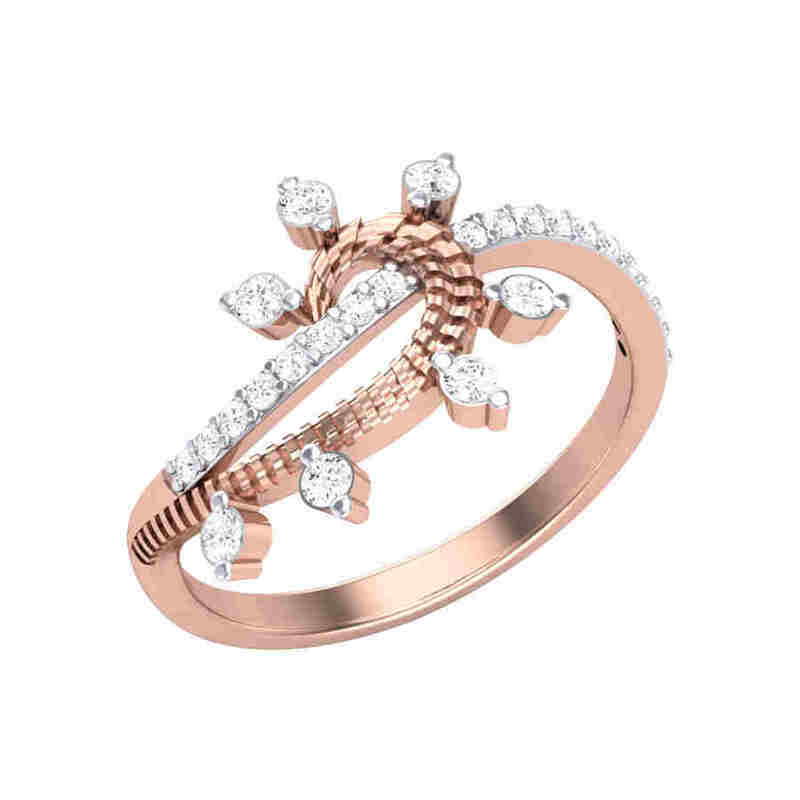 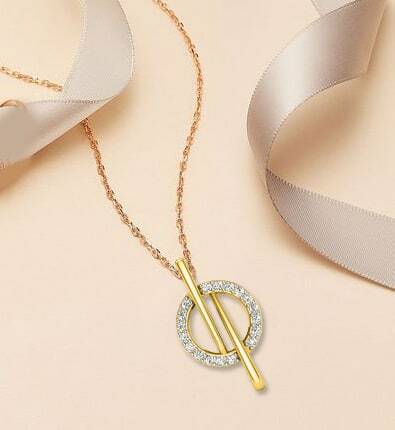 From tender foliate prongs holding a spectacular diamond at the center to the traditional pave setting featuring an enchanting interplay of the diamonds' sparkle and the rose gold’s warm tinge, our collection boasts a myriad of elegant designs that will be right up your alley.